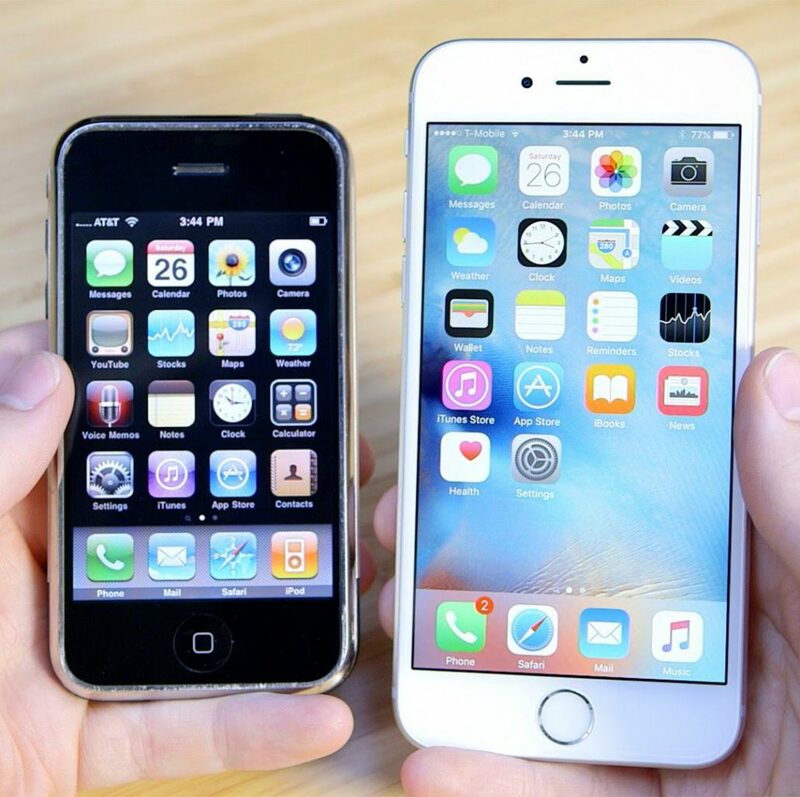 The iPhone has changed a lot over the past 10 years since the first model, but the front face of the smartphone has stayed relatively unchanged. This conservative development of the design has held up very well over the years, and the latest iPhone models remain some of the most beautiful smartphones around. But this will not hold up any longer. The latest trend in smartphone design is going “bezel-less”—removing as much from the front of the phone that isn’t screen. This has a very important impact on the design of the device: for one, a device that’s “all screen” looks incredibly futuristic, and secondly, it greatly reduces the size of the phone while keeping a bigger screen. To put that second point in perspective: imaging holding a regular iPhone in your hand, but this one has a screen the size of the iPhone Plus. You get all the benefits of having a big screen, yet retain all the benefits of having a smaller phone (more portability, pocketability, easy one-handed use, etc). Smartphone manufacturers, in their unending quest to add new features and benefits, have made it clear that the next design trend is to remove as much bezel as possible and increase the size of the screen relative to the device. And no one has achieved this better than Samsung in yesterday’s unveiling of the Galaxy S8. To be clear: I have never liked Samsung as a smartphone manufacturer. As far as Android phones go, their phones have always been the most unoriginal, generic plastic devices to unfortunately be everywhere and in the hands of everyone who didn’t know better. I can only attribute their success to the fact that their marketing and distribution teams are much more innovative than their product development team. 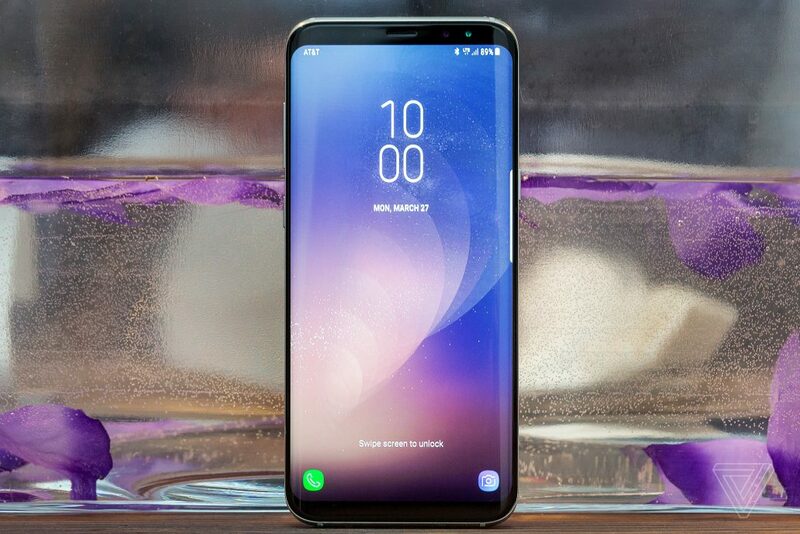 But with the Galaxy S6 this started to change, and Wednesday’s unveiling of the S8 obliterated any question that Samsung is now a completely original hardware designer. The design language of the S8 hardware is unquestionably unique, and it’s beautiful. In contrast, iPhone has a huge amount of wasted space on that never-changing front face: it has a large round home button with space all around it, creating a large bottom bezel, and for the sake of symmetry the top bezel mirrors the size of the bottom one. It also has bezels along the sides of the display. This design aesthetic has served the world’s most popular phone well for its first decade, but this cannot continue. The iPhone 8 will, without a doubt, have a new front face: it will get rid of the physical home button, and reduce or eliminate the bezels. If Apple waits out a generation with a iPhone 7″S” iteration, this delay in updating the design will might actually hurt their sales numbers for the first time. The iPhone will very quickly look dated, old, and possibly ugly now that consumers have seen the future of smartphones.